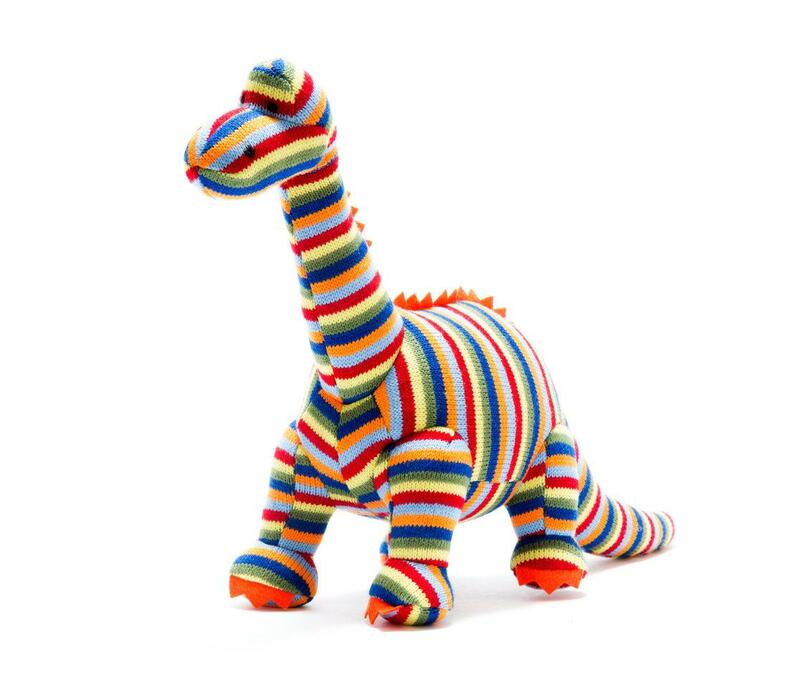 Our cheerful orange knitted diplodocus dinosaur soft toy has been so popular that we decided to introduce a colourful stripe version of this firm favourite with dinosaur mad kids. In real life the Diplodocus had one of the smallest brains of the dinosaur family, but it was still way ahead of the Stegosaurus which had the brain the size of a walnut! It didn't need to be the brightest as it had no natural enemies, perhaps because of its sheer size or maybe because it looks so friendly? Available in three sizes our diplodocus is one of our most popular dinosaur toys. Machine washable, suitable from birth and totally gorgeous!